The Arab world's most prolific and best-selling science fiction author, Ahmed Khaled Taufiq, will finally appear in English, thanks to Bloomsbury Qatar Foundation Publishing. In autumn 2011, we'll get an English version of Taufiq's novel Utopia, which isn't really utopian. BQFP describes Utopia as a grim futuristic account of Egyptian society in 2023 which takes readers on an adventurous journey that ventures out of the gated communities insulating the wealthy from the bleak realities of Egyptian life. "A young man and a young girl break away from the idyllic bubble of affluence they know, and delve into the harsh existence of the impoverished Egyptians that live right outside the fortified gates of their compounds. Utopia's twists and turns will certainly leave readers in suspense until the very last page." 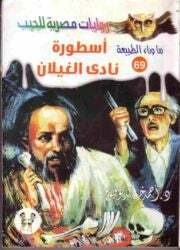 Since its release in 2008, Tawfiq's novel has enjoyed wide acclaim and was reprinted three times to fulfill the overwhelming demand of Arab readers. "With over 200 published titles, Tawfiq has perfected the art of horror and science fiction" BQFP says. It cites praise from the famed Egyptian author Alaa Al Aswany who dubs Utopia "a wonderful novel, a real addition to Arab literature."